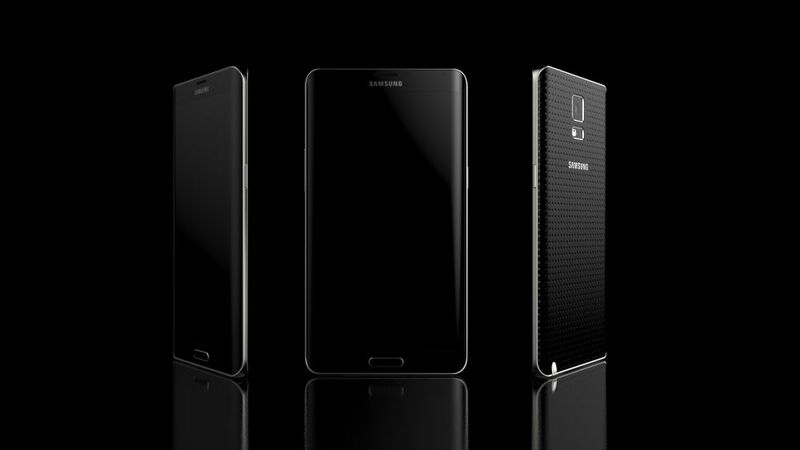 What appeared to be a concept image of the upcoming Samsung Galaxy Note 4 that shows the Note 4 would feature a three-sided display has been given a little more credence by reports that its Youm display has actually gone into production. Reports indicate the Note 4 will have a Youm display, a flexible display that adds functionality to the curved-down sides that augments the main flat display functionality. The sides would actually serve specific functions, such as being able to unlock the phone by running your finger along the right side. Regarding the Note 4, the three-sided model might only be available in limited numbers due to the difficulty in producing a large amount of the plastic substrate needed to form the base of the display and that the process of making one of these displays is time-intensive due to the sensitivity of the plastic to the heat required for fabrication. In any case, there are hints that even though the Youm display might only be available in limited numbers of the Note 4, that there may be three versions to be released. The second version would have a flexible screen, something Samsung also used on the Galaxy Round, which ended up being a little pricey for many people. This possible evidence of this version is strengthened by Samsung having increased the production of their flexible screen. Another rumor of yet a third version aimed at the more general mass market would feature a more traditional flat display. Regardless, it would mean Samsung is definitely trying to make sure it can retain its edge in the area of forward-thinking handsets. The Note 4 will supposedly feature a 16 MP camera, a 5.7" display, up to 64 GB onboard storage and support for microSD cards up to 128 GB. The processor is rumored to be available in either 2.5 Ghz or 1.3 Ghz speeds with a Snapdragon or Exynos brand, respectively. Concept images hint at some level of water resistance as well, with the USB port being covered. Features and specifications like these would make sense for a phablet such as the Note 4, given that it is the next generation and Samsung has been seen to be struggling against the plethora of competition in the innovation area. The Youm display is certainly an exciting possibility, even if released in limited numbers. If it proves popular, further research could lead to a more efficient production process and a cheaper price in the future.